Sponsor of this event in Helsinki, Finland.The theme of the congress is “Underground spaces in the service of a sustainable society”.Maccaferri will showcase a range of solutions for the global tunnelling market. In addition to the already established steel and polymer fibre reinforcement, Maccaferri now offers systems for use atall stages of tunnel construction from primary to final linings. The range includes drainage systems, shotcrete chemical additives, fiberglass bolts for excavated face stabilisation, steel bolts for first fixsupport, composite reinforced drains and ceramic decorative final linings. This congress coincides with Maccaferri’s recent project success on Adelaide Desalination Plant,Seattle’s Brightwater Tunnel and San Francisco Bay Utility Tunnels. Please visit www.wtc11.org for more information. Maccaferri’s presence in the mining sector is increasing rapidly, from rockfall protection embankments in Italy to lagoon linings in Latin America. Maccaferri will be presenting technical papers on improving Health and Safety in Australian minesand a large technically complex project in Botswana. 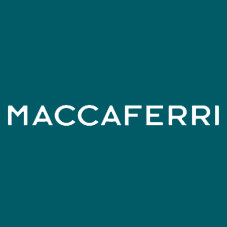 Products featured at Maccaferri’s booth at this congress will include our new range of highperformance rockfall barriers, high tensile drapery and fibres for shotcrete. Also on display, will beMaccaferri’s full range of geosynthetics for mine operations, including dewatering, soilreinforcement, erosion control and lining systems. Please visit http://wmc-expr.com/ for more information. Maccaferri would be delighted to welcome you to our stands!